On January 6, 2016, Matthew H. Swyers, proprietor of The Trademark Company, commenced a lawsuit against the USPTO, alleging that the Office has violated his Constitutional rights in its investigation of his practices in the filing and prosecuting trademark applications. The complaint may be found here. The Trademark Company is reportedly the second largest filer of trademark applications in the country. Mr. Swyers complains that numerous Requests for Information (RFIs) issue by the Office were "designed to harass, overburden, invade, injure and damage the Plaintiff and his business," and he seeks injunctive relief and damages. The USPTO has not commented on the matter, but a Courthouse News article (here) provides one side of the story. OED overreached on this one. The OED letters to his Mr. Swyer's employees are way too extensive. Furthermore, contacting Mr. Swyer's clients without notifying him first? The content of those client letters is also quite suspect. Since the individuals named in the Complaint work for General Counsel, and are likely attorneys themselves, I wonder if they can be sanctioned by the State Bar for these actions? I assume LegalZoom will never be held to the same level of scrutiny. I have had contested proceedings with Swyers - and he is AWFUL to deal with. Does not return calls. Claims to never receive discovery requests. Doesn't seem to know what he is doing. Good for the PTO for finally taking action. Next stop, Legal Zoom and Trademarkia (Legal Force). An appeal from The Trademark Company arguing that SECOND WIND is distinct from 2ND WIND. Legal Zoom, Trademarkia, and other very large volume filers are, in my opinion, suspect. If the esteemed author of this blog files X applications and Y TTAB proceedings per year, then it is suspect when another attorney manages to sign papers totaling five times the volume or 20 times that volume. Given broad assumptions about quality, staff supervision, and a 50 hour work week, another attorney cannot plausibly produce more than twice the volume, assuming a 100 hour work week. Outsized volume production, per attorney, is worthy of some scrutiny. This comment is more relevant for the largest filer, in terms of volume. I wonder about the actual production, per attorney, at those companies. Some of their customers thought they were represented but were not. For example, see the file history in 78871571, the correspondent is listed as Legal Zoom, but all the correspondence is actually with the applicant. The applicant filed the specimen as the drawing, and about four years of back and forth ended in abandonment. Mr Swyers has left a curious trail in his wake. I personally know of an application he filed that was obviously in conflict with a separately owned mark he was currently defending in a completely unrelated opposition proceeding. While he may have had no nefarious intent, at the minimum, it suggests that he either was not well-versed or he was not very good at keeping track of details in his own practice. Just read "My Crisis of Conscience" - a couple of minutes that I'll never recoup. What a lousy writer Swyers is. He can't punctuate, nor does he seem to know basic grammar rules. He certainly could use an editor to clean up his rambling style - coherence is not a hallmark of this press release, but these failings seem to have spilt over into his filings at the Trademark Office, so there's consistency in that. How can someone defend an Opposition proceeding for the price some of these companies advertise? Some are as offered for as low as $600. Matthew Swyers is personally listed as having over 300+ pending "proceedings" in the TTAB. I would suggest that is a lot for just one person. Most appear to be as "defendant" and maybe a lot are simply of extensions of time to oppose, but still! There are also well over 1450 terminated "proceedings" in just the past few years! From my experience as opposing counsel he is sometimes "unaware" of whether he is actually representing a client or not and may have to check to confirm if he is still counsel of record. (Actually, you hardly ever speak to him, you have to go through his "litigation managers" or "litigation specialists"). At our office, we just assume it is waste any time trying to settle with him because it appears to be a way to buy time and nothing ever happens. Everything seems to get delayed or complete lack of response and sometimes a withdrawal of counsel. It is more costly to serve discovery on day one for a case that should be easily settled, but perhaps that is just part of their MO. This type of BS would never be tolerated in USDC. So perhaps the TTAB is just deciding enough is enough of these games. There appear to be 18,994 trademark applications filed under his name. 4,555 are dead. 10291 are registered. 16,000+ of the applications were filed since 2011 and 10441 since 2013. How many people does he have doing these filings? They appear to file about 15 per day, every day! The lowest cost is $99 for an electronic application filed within 1 Business Day by a Trademark Attorney and that includes responses to procedural issues raised by the USPTO, status reports, delivery of Certificate, calendaring and notice of All Renewal Deadlines. How can one person do that? How much is his malpractice insurance? Since many of these firms simply file the form for you these applications take more hand holding and special attention by examiners, I assume this results in higher costs to the USPTO passed on to all of us. Many of the filings I would never have filed in the first place. They are doomed to failure from the start or a guaranteed opposition. Were people told about this in advance? I wonder how all these additional filings are affecting examination. I am sure the USPTO income has risen significantly, but does it cover the cost of all the new hires required to process these filings? I will stay closely tuned in!! Is The Trademark Company a law firm? The Trademark Company PLLC is a Virginia Professional Limited Liability Company, Matthew H. Swyers, Esq. principal. Principal admitted to practice law in the Commonwealth of Virginia and the District of Columbia. 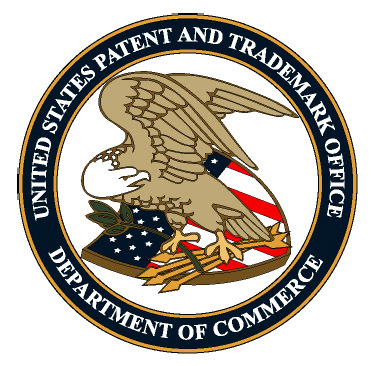 Practice limited to the federal protection of trademarks and copyrights. Oddly, in one of its Careers pages, the one for "Entry Level Attorney," the first line reads "Cary, NC" - which is a head-scratcher, unless Swyers tucks any junior attorney who works for him in North Carolina. Sloppy website and even sloppier prosecution at the USPTO. I applied for a trademark using their service, we got initially rejection from USPTO, then paid for service to reponse for the objection. The time has passed and no any reponse and replied from them. The response time pass soon. What I can do ? Can someone kindly advise ? There is an update. 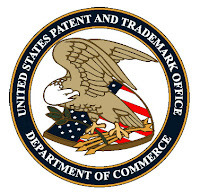 The USPTO filed a Motion to Dismiss and it was granted. What will happen next?